This booster model is for calls and can cover an area up to 150 sq. m. It is ideal for small apartments or offices. It will boost all major Ireland Vodafone and Eir (Meteor) operators’ signals for 900 MHz frequencies. 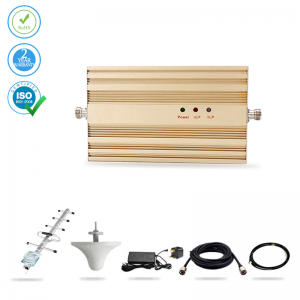 If you are looking for a signal repeater for your home then look no further. 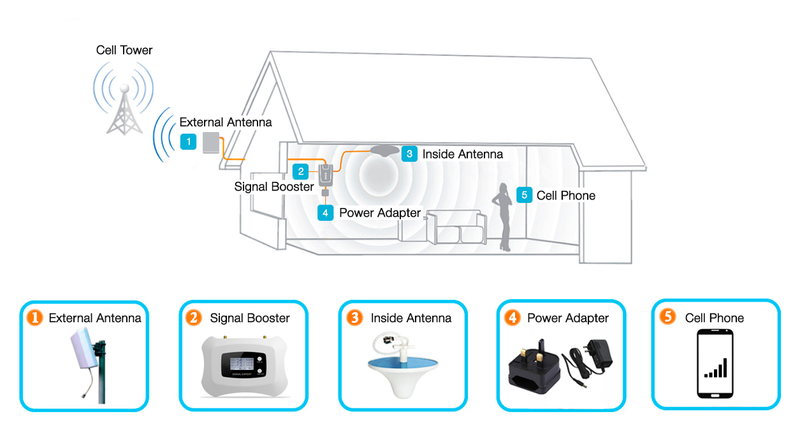 Our voice model is the best signal booster that operates within 150 sq. m. and on 900 MHz GSM frequency. 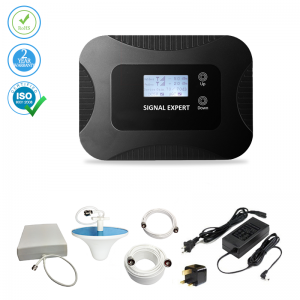 Our signal booster functions well anywhere in the Ireland and provides amplified signal to your mobile phone regardless of your provider and can boost Vodafone, and Meteor network providers. The installation process is completed in four quick and easy steps. It will be up and running in as little as 15 minutes. Do NOT connect the power until all other connections are completed. Your family is safe knowing no emissions are released from our product. We provide a full installation kit with all necessary items for completion. In the rare occasion that a problem should arise, our professional technical support staff is available 24/7. Let our attractive signal booster solve all your signal problems! 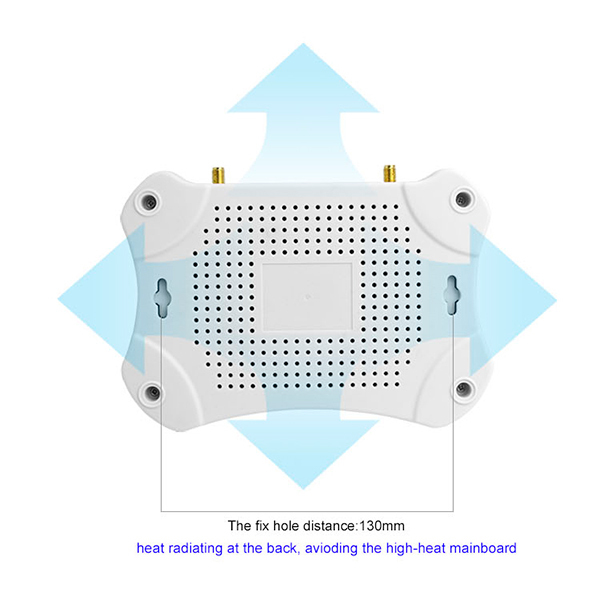 890 ~ 915 MHz 935~ 960 MHz AC/220V±10% 45~55Hz 165*115*35 (mm) 0.5 KG. Size/weight 165*115*35 (mm)/500g Coverage area Up to 150 sq m.
Before I got this amplifier I found that downloading even little internet pages took a lifetime on my mobile. Now it only takes a few seconds. Very satisfied with that. Not quite an instant 5 bar result, but on a good day I can get 4. Coverage is a little patchier than I hoped - only 2 bars in some rooms, but maybe I should have bought a more powerful unit. Very happy! The device works well even in the basement of my house. We had terrible Vodafone service in our house and always dropped calls. My friend recommended this product. So I purchased it and now I have 3-4 bars of service throughout the house. This booster works exactly as advertised. Highly recommend this company. I used to have horrible reception at my desk and couldn't carry on a conversation or senc text messages very well. Now I can use my phone everywehre in my house. I'm completely satisfied with your product and your service in general. Thank you! I purchased this booster because I culd only get 1 or 2 bars of signal at my home. After doing some research I realized that there's a tower about 25 miles away that my service provider is compatible with. After the installation I now receive about full signal. This is quite impressive for this area. I would surely recommend this product. This booster doesn't change my life in any way but it does work and that's what matters! My apartment is quite small so the signal booster can easily work all throughout my living spaces, it's great! Amazed at how well this works for the price, great value. This signal booster has worked wonders in my life. I can now play games, stream films and talk to my friends a lot faster and easier now. After setting up this signal booster I now get 5 bars consistently on my phone. I'm an avid gamer, I spend a lot of my time playing online games like Overwatch. This means that I need a good connection so my game doesn’t lag out, this booster provides that perfectly. I can actually hear what people are saying now! 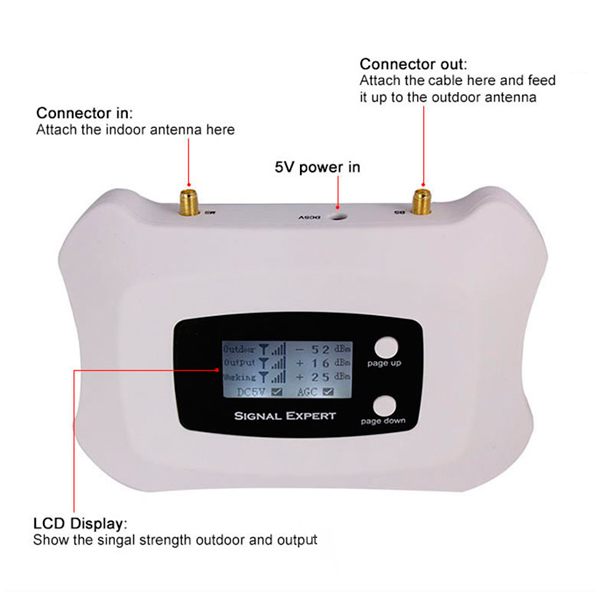 Even if you think you don’t need one, this signal booster will help you in everyday life, it makes calling people that much simpler. I'm hugely impressed with this product. Easy to install. Works amazing - once again a happy home! Really works well, very happy with this. With this signal booster, I am able to hear all calls clearly sitting in my house. Before I bought this amplifier, I could hardly hear a word anyone was saying to me over the phone, that was if I even got the call! Now everything is crystal clear. 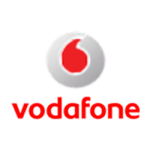 I've had trouble with the Vodafone network on my mobile from day one, and I've been their customer for 3 years! However, since I got this device I'm finally getting the service I'm paying for inside my house. I was hoping this device would make the signal inside my home much clearer and I wasn't disappointed. It's the little things that make such a difference! This signal booster only gives me one extra bar, but that was enough to ensure I didn't drop any calls. Although I paid more than I had wanted to for this amplifier it works fine inside my home, especially when I'm up close to the antenna. I'm very pleased with the results I've had from this product - I have no complaints! I didn't think that anything could help improve the signal in my office, but this device did! I'd never had 5 bars on my phone before until I got this device! Brilliant! I went from no signal to two and three bars on my cell phones. I'm more than pleased. The product works fine. The technical support team helped greatly to solve my installation problems. If you pay attention to the directions the unit will truly work well. It's a bit expensive but that's today's world for you! Does the job, but could be better! Installed this at an employee's house and it boosts the signal from 1 to 4 bars throughout the whole house. 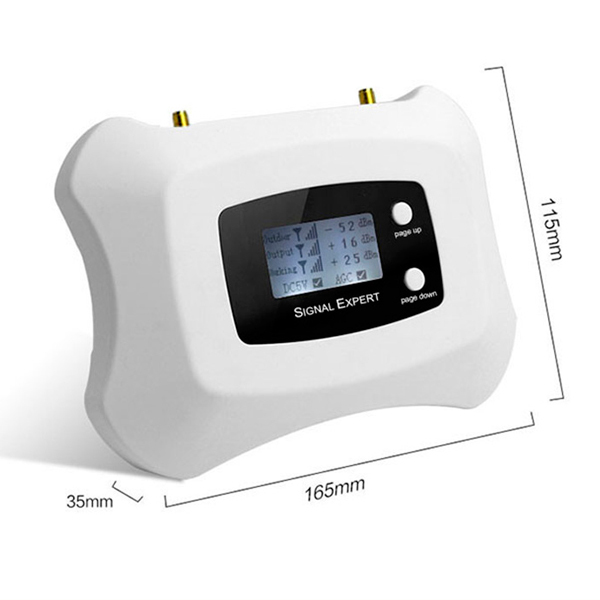 It is definitely worth the price if you are suffering from low cell signal at your home/small office. GREAT product. Totally exceeded my expectations. Thx !! Would recommend to anyone with weak cell signal. High quality and easy to install. Works well in an area with very sketchy cell service. It was easy to install and maximize. Definitely worth the investment. Could barely use my cell phone until I got this, now no more dropped calls or trying to run around the house looking for a spot with a good signal. I have a cabin out in the woods and this booster turns an unusable cell signal into a usable one. My connection is very slow but I can maintain a data connection all day with no issue. After reading reviews of this mobile signal booster and others, I decided to purchase the Mobile Signal Boosters brand. I have 2-3 bars outside and inside my steel warehouse, I had none, dead zone. I installed this signal booster and to my great surprise full bars inside. Clear sound, no repeat or echo. This product did what it said it would. I'm hoping it will last many years. Mobile Signal Boosters did improve our cell signal from 0-1 to 1-3. I expected the signal booster to pull the signal out of the thin air and give me 4 bars, but it did not do that. It pulled the signal out of the thin air and made it usable at1-3 bars. A bit pricey, however, it works. it is just as described and easy to install.. Had great improvement in the number of bars on our cell phones but sometimes I'm still getting dropped calls. We couldn't keep a signal inside our house at all before we got the Mobile Signal Boosters. We could make calls from a small area outside on our deck. We used the inside window mount option and can now talk on the phone anywhere in our home. This booster was well worth the money! I was very sceptical of this lower end booster but it serves my needs well. It is centrally located in my home and gives me 5 bars in my main living area. Only have a couple in the furthest places of my home but that's a lot better than it was without the booster. I would definitely recommend it if you have low signal in your home. tem works exactly as described. Set-up was easy, once I figured out where the best placement for it was. Having the peace of mind knowing that I can get a reliable signal anywhere in my house is great. I bought this a few months ago. Installation was easy. I had cell coverage outside, and in some rooms in my house, but not reliably. After putting this in my home office, where I use my cell phone the most, I can talk without lost calls. It has boosted the signal enough that I can use my cell phone almost anywhere in the house now. This device is exactly what I want to solve the problem of losing the cell-phone signal. I am working in a lab, which is in the basement of a building where there is no cell-phone signal at all regardless of which the cell phone company is. When I connected this signal booster device, the signal jumped to be full. Furthermore, the device is easy to be installed.I recommend this device for any place in which there is no cell-phone signal (home, office, etc.). I've gone from 1 bar in the house to three bars. Happiness. Works even better than I thought it would. I live in a very rural area. I go between one bar and no signal constantly. I hate looking at my phone and seeing that I have a voicemail when it never even rang. I received the unit today. Placed the outside ant. on a pole, ran the wire into the bedroom. Hooked up the inside ant. and amplifier. I had my phone in hand with one bar, plugged it in, the green lights started blinking and it went to 2 bars, about 5 seconds later it went to 3 then 4 then 5. I couldn't believe it. I always had to keep the phone by the window, and now, I have full bars. Even at the furthest point in the house, I have 3 bars. I can't believe I can actually talk anywhere in the house now. GREAT product. Now, I will def buy their mobile version for the car. If the signal covered the entire house I would give it 5 stars. But as is, it is a solid 4. We found the installation easy and at least now we ALWAYS have a signal inside the house. I got great results on cell phone. Went from 2 bars to 5. This includes area under a metal roof. Great boost for my small apartment! There is a cell phone God! Ok, I was sceptical but bought the system anyway... received my signal booster yesterday, easy set up (15 minutes) dialled it in and BOOM! full bars... I am ECSTATIC! I bought and installed this device about three months ago, We had some cell service outside the house but the metal roof blocked the signal. In order to make a call or send a text, we had to leave our phones in the window facing the nearest tower. 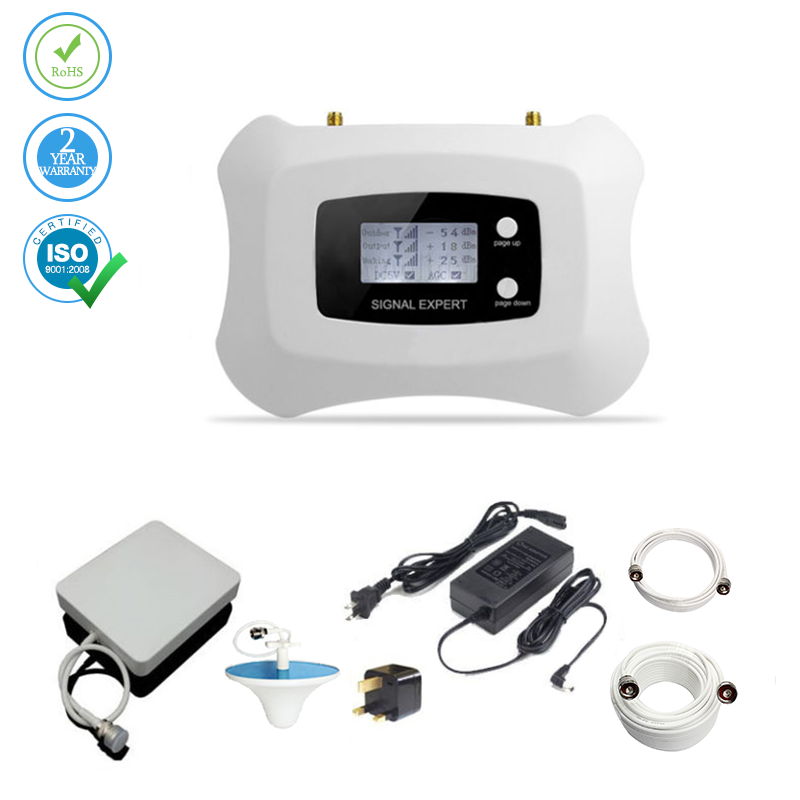 After installing this device, we have as good or better service inside the house as we do outside. I read the reviews and felt like this would be the best out of all the competitors I read about. I also like the price, which was very affordable. The installation wasn't very hard. I had close to zero signals prior to installing the booster, now I can smile with three bars. Sleek design yet works perfectly. Simply amazing. Signals of all carriers are boosted instantly. Just as advertised. Wow, now I can easily talk to my parents from my apartment without any interruptions. The product is not complicated and easy to install. This product is a good value for my money. It doesn’t matter where you are, the reception of this booster is very incredible. Could not be more thrilled. On a good day, I had MAYBE 1 bar outside. And only in the AM. On a bad day...1 bar 1x. No kidding. Inside, NOTHING. No Service. If I set my phone in the window...I MIGHT get a simple text but more often than not...I would get it hours later. Some phone messages were received days later. Now, inside, under my aluminum roof...on the first floor...3 bars. Did I mention I live in a pioneer cabin with 7 thick wood walls? Every room has service. Upstairs and down. When I need to text/call/Google...my best chance for a great experience is inside! Crazy! Installation was easy, and the system now provides a very powerful signal in our home, we leave in a remote area and signals were sketchy at best, we are now getting a full signal in our home. I had this product in a couple days. Solved the problem and all is very good. 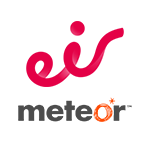 Accurate and friendly help from both sales and technical departments. By far the easiest repair of the day. We have 6 amplifiers for our warehouse and management offices that were installed 3 years ago, and they still work VERY well. Recently our building was struck by lightning and the amplifiers booted up without error, all I had to replace were a few surge protectors and power cords. Excellent assistance on figuring out which booster to purchase. Increased the number of bars in my workplace. I bought this for my pottery studio since the walls are thick and people do not get very good cell phone service inside. It has increased the number of bars I am getting! Since installing this i have had no dropped calls in the areas i would normally drop calls or have no service. Works. This will boost your signal and sometimes even get you service were you would otherwise have none. We would drop calls in our house frequently, unless we were in a certain room. I have no dropped a call since we got this! Installation was a breeze, exactly what I needed and works perfectly! No phone reception in over half my house. Installed this signal booster and have coverage all through the house. We have never been able to take mobile calls unless we walked up the hill to the shearing shed. Now with this booster my family are all very happy as not only can we make mobile calls with full bars on our phone they can now access Facebook !!! After very good advice online and a prompt delivery, this booster has been excellent and has made a HUGE difference to the way I’m able to work from home. A must buy if you have limited phone service! Nothing worked but this in my area. I like the service and the product. Only some difficulties with installation, but the support team help me a lot finally install it. This really improved my signal even in areas that I never had a signal. I hooked it up in a spot where I no bars, to on occasion one bar of service. As soon as I installed it, I had instant service. Only issue is the product gets EXTREMELY hot. It says to install under seat, I do not advise this. I am going to contact them to ask what step to take in regards to this issue. Other than that, it works better than I could have imagined. My boyfriend loves it he gets signal every where he goes. Around my area I am lucky if I get 1 bar... the booster gives me 3/5. I do need to have a long wire round the house, but it's something I can put up with! This did exactly what we needed it to do. It brought cell service into our stone shop at the farm. Service was good outside but the moment you stepped into the shop there was not service or poor 1 bar. This was well worth the money and very easy to install. No programming, just plug it in, fast and easy install. Saved my buns. Performed very well. 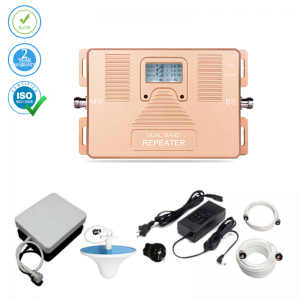 Signal Repeater - Voice - 150 sq.m. 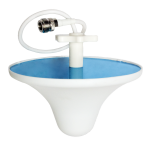 Voice Booster is a single band unit for 150 sq.m. 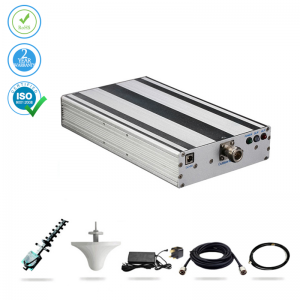 £ 125 only and it includes the full package with free Ireland delivery! 1 Year warranty! 24/7 support!